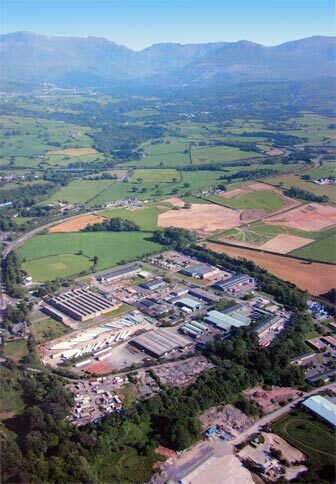 During 2006 and 2007 Gwynedd Archaeological Trust undertook a programme of archaeological work at Parc Bryn Cegin, Llandygai in advance of the expansion of the Llandygai Industrial Estate. The development area lies close to the site where archaeological monuments of National importance were discovered during the 1960s. These included an early Neolithic house, Later Neolithic ceremonial monuments - two henges and a cursus, Early Bronze Age burials, an Iron Age house followed by Romano-British activity nearby and an Early Medieval cemetery. The discoveries of forty years ago were made in advance of the present industrial estate. It was anticipated that related discoveries might be found in the area of the current development. The archaeological excavation is now completed and a considerable amount of very important archaeology has been discovered and recorded. This includes an early Neolithic post-built house, very like the one excavated in the 1960s, Early Neolithic pottery, groups of pits containing Later Neolithic pottery, Bronze Age burnt mounds, late Iron Age to Romano-British roundhouses and a complex of ditches and enclosures. During the excavation a web diary was posted on the internet every week or so. Some of these pages have been retained here to give a feel for the process of excavation and discovery as work progressed. Other links on this page will give more detailed information on the discoveries. The records and finds from the excavations have been processed and analysed and a final site report has been produced which is available to consult in the Gwynedd Historic Environment Record or to download from the Royal Commission on Historical Monuments of Wales Coflein website. (It may take a few moments after clicking on the link for this webpage to appear). A report has also been published in the journal Archaeologia Cambrensis. The full reference for this is Kenney, J, 2008 ‘Recent excavations at Parc Bryn Cegin Llandygai near Bangor, North Wales’, Archaeologia Cambrensis 157, 9–142. The work was carried out on behalf of, and funded by, the Welsh Development Agency. The WDA employed local civil engineering contractors, Jones Bros Ruthin, to undertake earthmoving on site under the Trust's supervision. Jacob Babtie's Cardiff office were planning and engineers consultants for this new site. All possible evidence was recovered from the development area for future study and interpretation. Large areas of topsoil were stripped to reveal the archaeology so that features could be recorded and excavated in detail.